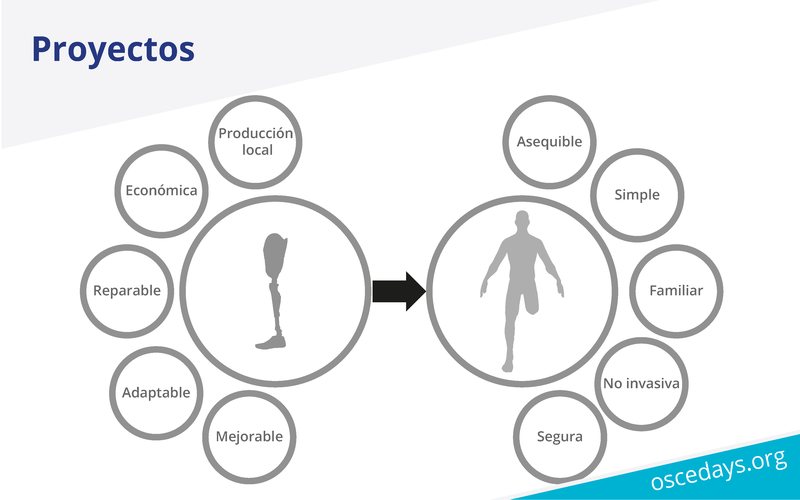 This project was born in Colombia during the OSCED Bogota 2016 event and part thanks to the invitation of the FUNDACIÓN MATERIALIZACIÓN 3D in creating a lower limb prosthesis for users with a low socioeconomic level, with problems of access to technology and traditional prostheses that in our country They are by values ​​between 2000 to 5000 dollars (the most economical). Some of these users have been harmed by the situation in some regions of the country, in addition to being in rural areas of Colombian territory what makes access to these products difficult and expensive. 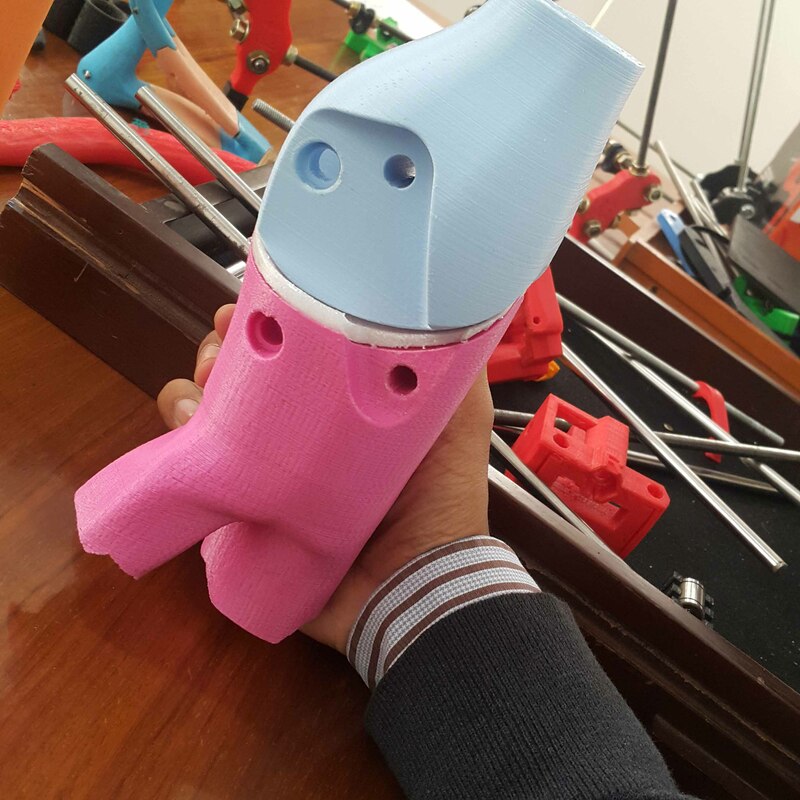 The minimum parameters that were proposed for the project is that it was low cost (500 dollars), very easy to repair, adapt or modify by the users, that its components could be affordable, for example hardware stores etc and that if necessary, could grow together with the possible user (who grows with the changing human being), the technology used for the serious development from 3d printing of recycled filament, outside for the components, injection molds or specific pieces. 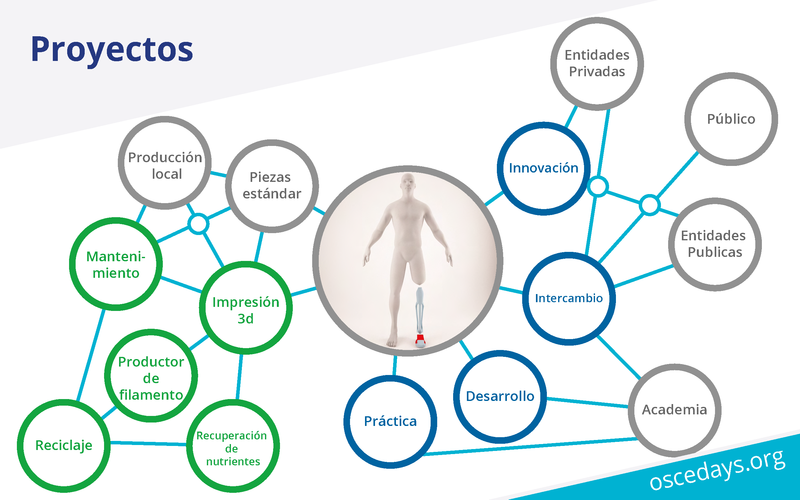 During the first year we counted on the work done by a team of volunteers for the development of the proposal, and the team of experts of the FUNDACIÓN MATERIALIZACIÓN 3D, together with the practitioners. 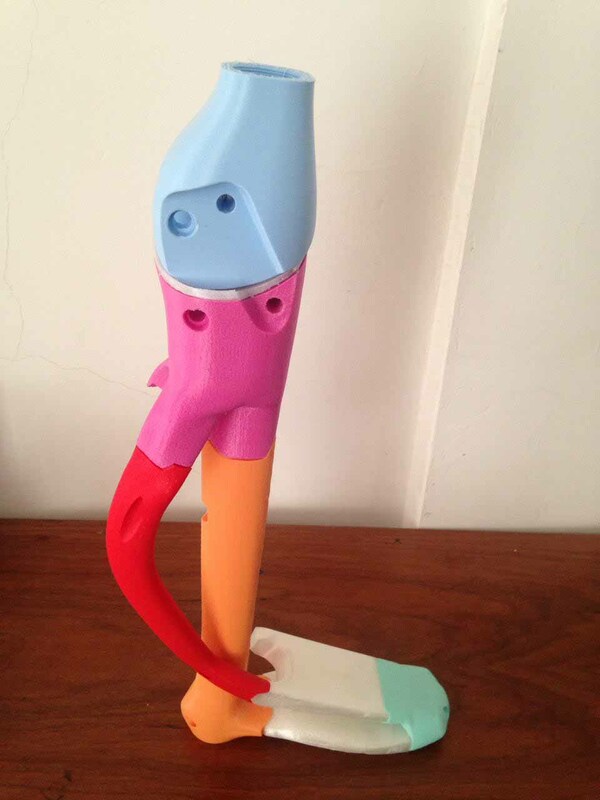 which resulted in finite element software checks that allowed identifying certain modifications to be made. 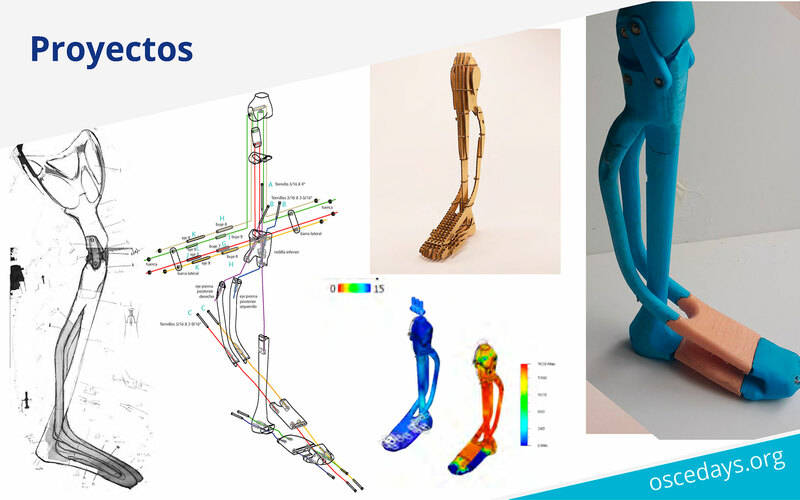 For the second stage of this project in development since 2017 we have been working with a team created by FUNDACIÓN MATERIALIZACIÓN 3D with several volunteers, thesis students, professors and professionals in the field, who has been carrying out tests of the production process, finite elements on materials, mechanical checks , ergonomics, user tests and set-up so that the product can be available in the same way as opensource with which it was proposed. Camilo Salamanca, Monica Ruiz, Cristian Silva, Katarina Cano, Laura Duran, Kevin Latorre, Sandra Gómez, Ricardo Rugeles. Camilo Salamanca Ruiz, Camilo Andres Hurtado Erasso, Sandra Gómez, Ricardo Rugeles, Luis Martinez, Luis Miguel Velásquez Miranda, G Arévalo, Jimmy Oswaldo Castro Junco, Mauricio Javier Carrillo Casilimas, Marvin Denis Eisner, Darwin Manchola, Adriana Muñoz, Vanessa Montaño, Diana Bárquez, Juliana Mariño López, Stephany Lorena Vera Hostos, Anggie Lorena Perilla Ríos.